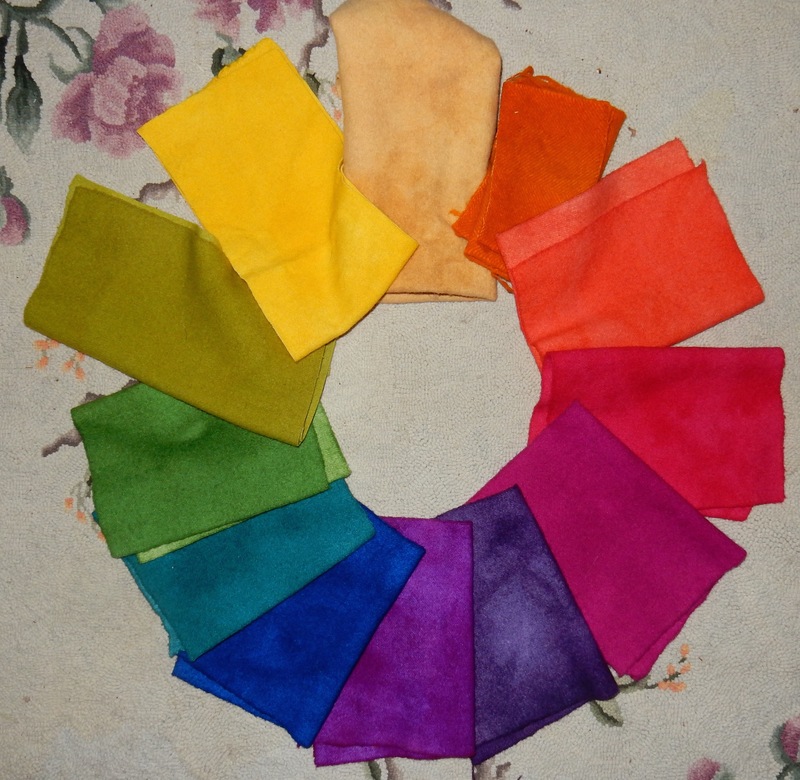 This entry was posted in dyeing techniques and recipes, hooking tips, workshops by elizabethmartel. Bookmark the permalink. 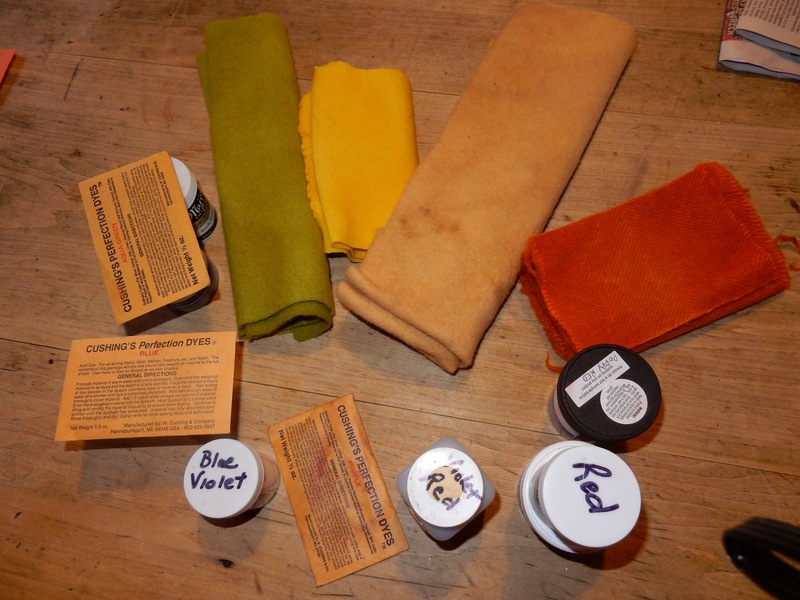 Hi Elizabeth, this is exactly how I feel about dyeing and also the way I dye. When you have to start writing the recipes it takes all the fun out of it. Your colours I like very much and they do look good hanging against the trees. 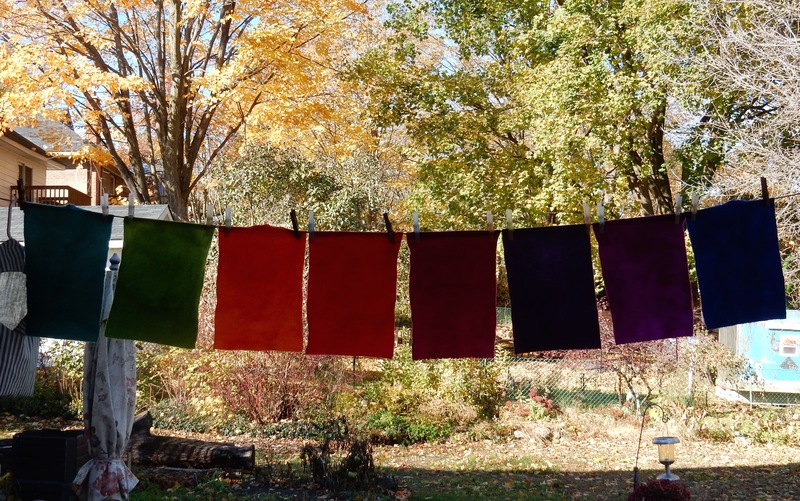 Dyed fleece looks good hanging on the trees too. Enjoy the workshop. Jan I have to admit I record what I’ve used when I end up using a variety of dye colours, so I can dye more if need be, I must have the messiest dye book ever (full of scratch outs additions and retries). thanks for sharing your experiment with us. 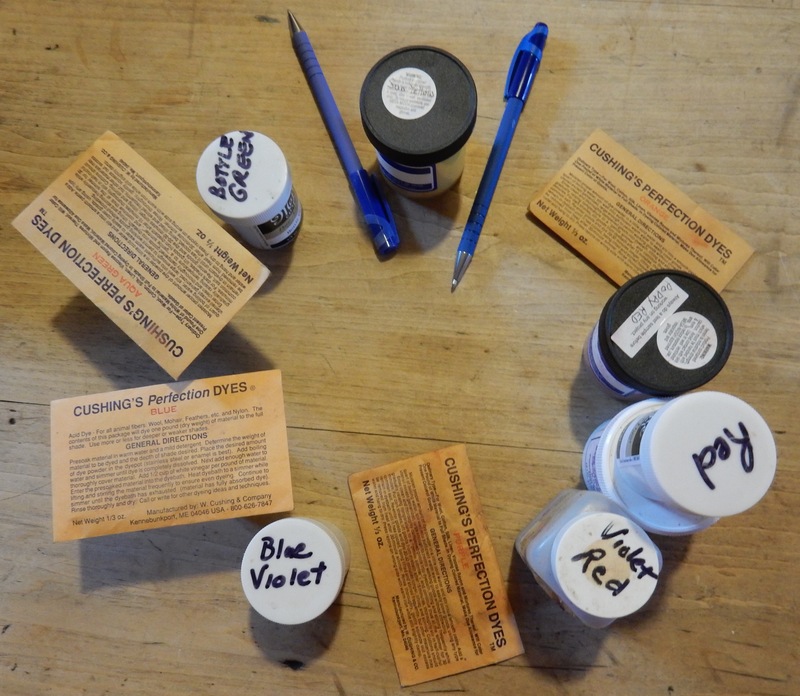 need to get into the dye pot sometime soon, but may try your microwave method. hugs. enjoy the workshop. Wendie, it’s Wanda Kerr’s microwave method, I can’t take any credit for it, but I find it very handy for small pieces of wool. Hope you’re all settled in your new home. Loved the shots of your wool wall. What a great exercise! It is going to be interesting to see what you are going to use these for. I’m really looking forward to the workshop Marjorie and learning how the wool will be used. It’s with Sandra Marshall on embellishments. I’m sure you enjoyed your class with Sheila ,Vivien. She is certainly an expert at dyeing wool. 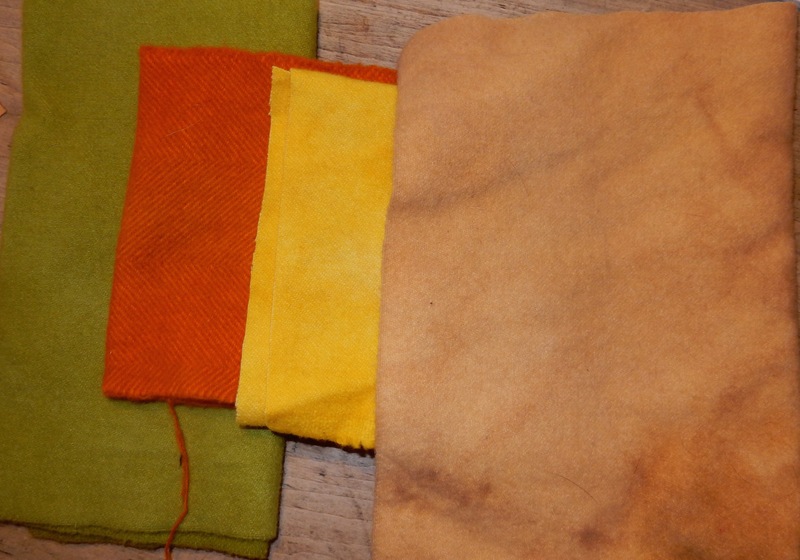 The course I dyed this wool for is not about dyeing at all, but rather on embellishment. It remains to be seen how the wool will be used. Thanks! I loved this! 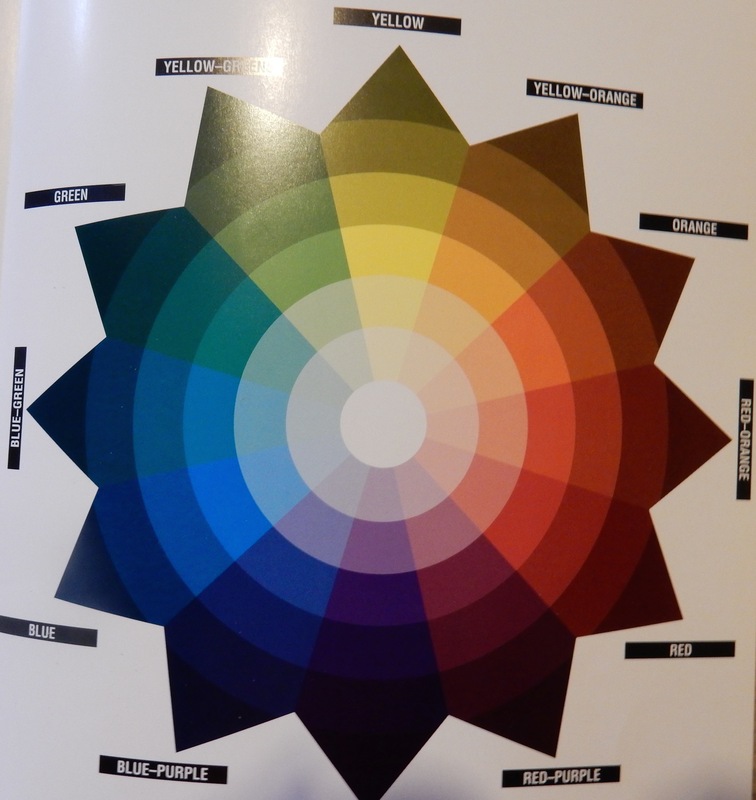 I’ve been reading about colour theory myself!